Not entirely by coincidence, today marks both the beginning and ending points of the Great War, also known as the First World War and World War I. 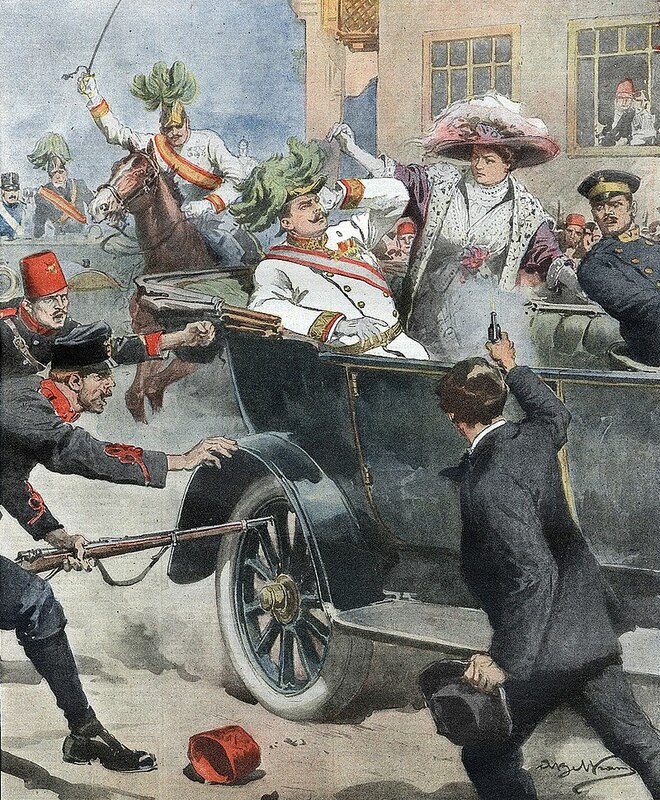 That is, archduke Franz Ferdinand of Austria was assassinated in Sarajevo on this date in 1914, leading directly to war, and the Treaty of Versailles, which officially ended the war was signed on this date in 1919. Here we run into the problem of identifying certain dates, or events, as “significant.” It took some time for the various forces in Europe to mobilize for war after the assassination, and for the war to spread beyond Europe. 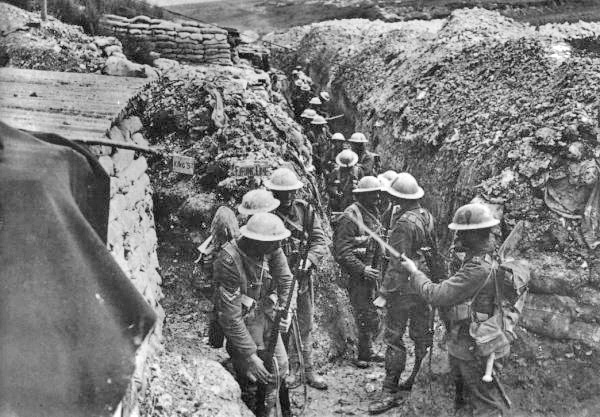 Furthermore, fighting had been concluded 7 months before the Treaty of Versailles by an armistice on 11th November 1918. In a way these facts undermine the premise of this blog – but only in a small way. After all, the birth date of someone who went on to do “significant” things is really of no consequence in the grand scheme of things. Nor are dates of national independence and whatnot. History is a steady continuum, so that marking any single day as “important” is a bit misguided. But . . . if we don’t do something like this we end up not celebrating anything. Some people don’t like celebrating their birthdays. My wife hated them. I make a big deal out of mine. You can call this narcissistic of me. Maybe it is. But I will defend myself by saying that I have spent a lifetime in service to others as a pastor, teacher, firefighter, and emergency paramedic, (all either underpaid or not paid at all), so ONE day of the year taken to please myself seems reasonable. Likewise, taking one day of the year to turn the spotlight on a person, event, or place of lasting importance seems fair enough. Today’s anniversaries are admittedly singular actions in a steady flow of history that may have points you can highlight but which is really a continuous stream – punctuated, sadly, by brutal wars. I have the (bad) habit of seeing the Treaty of Vienna of 1815 — http://www.bookofdaystales.com/congress-vienna/ — as a particularly disastrous agreement between powerful states that plunged Europe and the world into chaos for the rest of the century and beyond. I call it a “bad habit” because the treaty was not just one event, but the culmination of a whole sequence of events that led up to it, and there were numerous other factors causing the subsequent chaos. But there is a point to be made here. The Treaty of Vienna set up the notion of a balance of powers as the recipe for peace. The reasoning was that if Europe consisted of a number of strong nations such as Britain, France, Russia, and Austria-Hungary, with neutral buffer states in between (that everyone agreed upon), no single state would seek war with another because the other states would step in, triggering a massive war that would be too costly to contemplate. However, these major powers were busy carving out empires in the rest of the world throughout the 19th century, fueled in large part by their own industrial revolutions that needed massive inputs of raw products. Yes, it’s all interconnected, and is much more complex than I am sounding – bear with me. 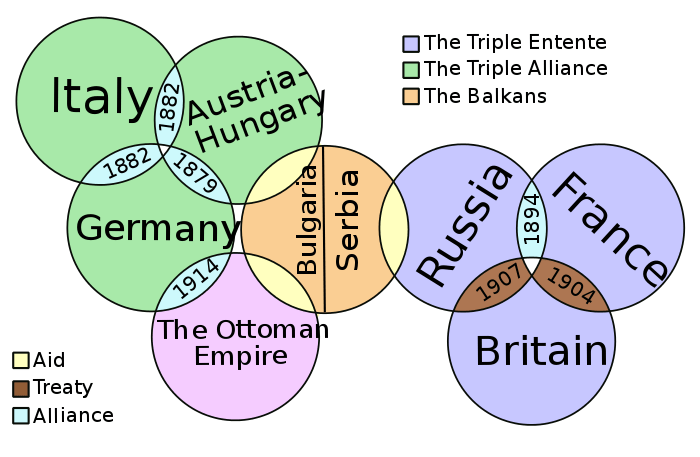 Towards the end of the 19th century and the beginning of the 20th century, Europe had divided itself into 2 camps: the Triple Alliance of Germany, Italy, and Austria-Hungary, and the Triple Entente of Britain, France, and Russia, with the Balkan states in the middle. The member states of each alliance promised aid to the other members should they be attacked. By dividing the powers into two blocs, instead of having many, the concept of the balance of power was narrowed dangerously (and was also upset by the emergence of newly unified nations such as Italy and Germany – which came into being because of dissatisfaction with the Treaty of Vienna by ethnic groups). Now, instead of independently operating nations, you had two giant power blocs with the nationalist aspirations of ethnic groups in the Balkans sitting between the two. Slavs in the Balkans wanted a united Slav state similar to Italy and Germany, but to achieve this goal they had to break parts of this imagined state (Yugoslavia – i.e. united Slavs) free from Austria-Hungary. Hence the assassination of the heir apparent to the crown of Austria-Hungary by a (mostly) Serbian set of conspirators as the match to the powder keg. By themselves, the Balkans were a small powder keg, but they set off much bigger ones. Austria-Hungary and Germany declared war on Serbia in retaliation, Russia came to the defense of Serbia, and almost immediately the other members of the alliances joined in. The Ottoman Empire was rather late to the game, but entered on the side of Germany/Austria-Hungary, and Italy dithered around for a while trying to pick the winning side before joining in on the side of the Triple Entente even though they were one-third of the Triple Alliance. Because both sides had massive empires, the war spread around the globe, with very few countries being able to maintain neutrality. When you look at a map (above) of the areas of the world on the side of the Triple Entente (green), and the areas on the side of the Triple Alliance (orange), with neutral countries in grey, you can get a sense of why Italy made the choice it did. The map is deceptive, though, because the crucible of the war was in Europe where the two blocs were evenly matched. Battles in other parts of the world were significant, but secondary, and when the US entered on the side of the Triple Entente in 1917, the balance shifted, leading to a conclusion in late 1918. The war was labeled the Great War, because nothing so all encompassing had ever happened before, even though the Napoleonic wars came close. 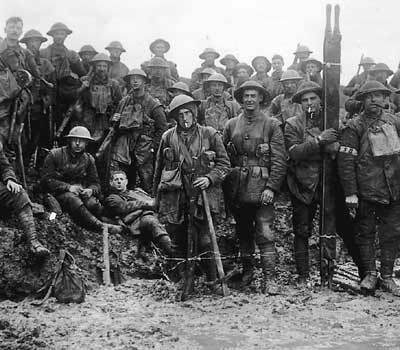 It was not called the First World War until there was a Second. In hindsight, historians see the Second World War as a consequence of the Treaty of Versailles. But historians also ask the hypothetical question: “Could either war have been prevented?” Counterfactual questions such as this one have limited utility, but they are always worth asking because similar circumstances can always re-emerge. THE POINT OF STUDYING THE PAST IS TO UNDERSTAND THE PRESENT. If Trump were ever to carry out his earlier threat of annihilating North Korea, for example, it could easily escalate into a world war between China and Russia on one side, and the USA and Europe on the other, much in the same way that the Great War started. Of course, if he pisses off Europe, Canada, and Mexico enough with trade wars he may find himself going it alone – but one hopes these speculations are all drastically hypothetical. They do, nonetheless, point out that apart from national objectives being at stake, individual egos are in the mix also. Historians sometimes argue that the Great War could have been prevented by diplomacy if all the potential belligerents had been willing to sit down together at a congress instead of jumping straight into war mode. This is hindsight speaking, though. The various factions thought that the war would be over by Christmas instead of dragging on for 4 ruinous years. Here’s where a time machine would have come in handy. If you could have shown the various parties the consequences of war, perhaps they would have thought twice before starting one. Perhaps. But there were also individual egos involved in starting the war, and these egos fueled the Treaty of Versailles. The Allies who won could have simply agreed to let bygones be bygones and gone about rebuilding their nations; but they didn’t. In the flush of victory they demanded that the losers admit that they had started the war and that they pay for their actions. Therefore, Germany was hit with crippling reparation payments which it could ill afford before the Great Depression, let alone during it. Germany, Austria-Hungary, and the Ottoman Empire also had to give up their colonies, and the latter two were split apart into separate nations. The seeds of the Second World War, not to mention Middle East conflict, the Maoist revolution, etc., were sown. One of my personal points of despair at this stage is that generations are growing up without a firm grasp of history. My grasp of history is certainly tenuous and biased, but at least I understand its importance. Also, a great many of my relatives who I grew up with (as well as scores of family friends) were participants in either the First or Second World War. I have seen the effects of these wars on a completely personal level. Nowadays, wars are devastating enough, but people growing up in the dominant nations are distanced from them. Conscription is a thing of the past, so that if a family member is killed in a foreign war, relatives can be (minimally) consoled by the notion that they knew the risks when they signed up. Otherwise, wars are the stuff of periodic images on news programs while daily life goes on as usual. Both world wars were engaged in by nations who were convinced of their military superiority: firm in the belief that they could win quickly, and gobsmacked when this turned out not to be the case. In my humble opinion, we are living in the same world today. 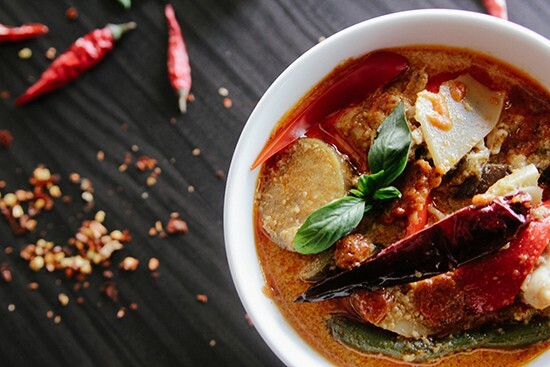 When I choose my daily recipe I am often left with a puzzle because, like nations, local dishes are both the product of local circumstances and intersecting influences from all over the world. Neapolitan pizza would not be what it is without tomatoes from the New World; green chile stew in the southwest of the US has pork as a principle ingredient, and pigs were first domesticated in Asia. The drive to integrate ideas and ingredients that are global in origin is universal and ongoing on the local level. Here’s your challenge. 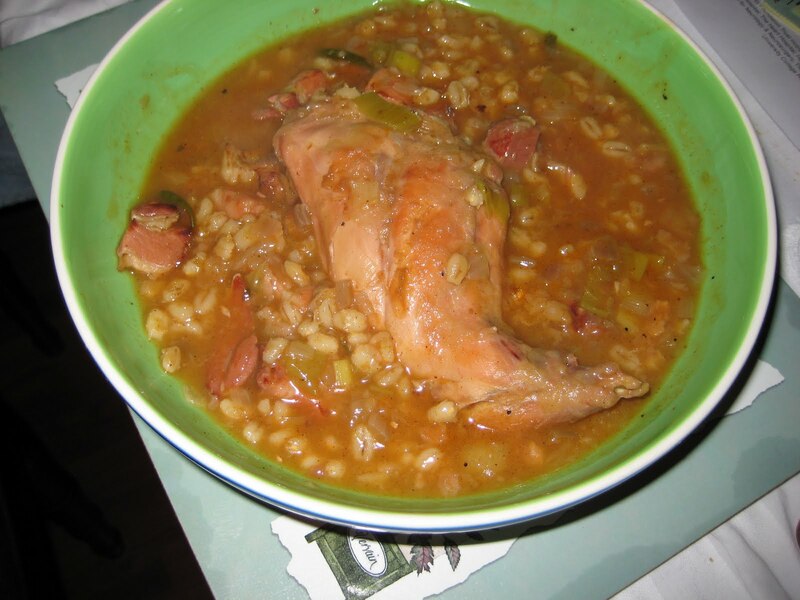 Can you come up with a dish that melds English, Russian, German, Hungarian, Italian, and Turkish elements in one? I can’t for now, but I will give the matter some thought, and maybe add a coda later if I come up with one. 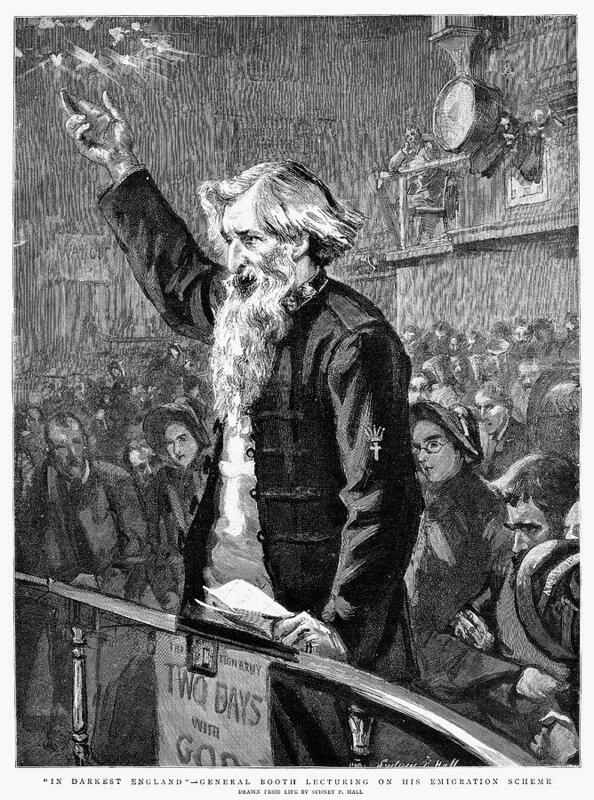 Today is the birthday (1829) of William Booth, a British Methodist preacher who founded The Salvation Army and became its first General (1878–1912). 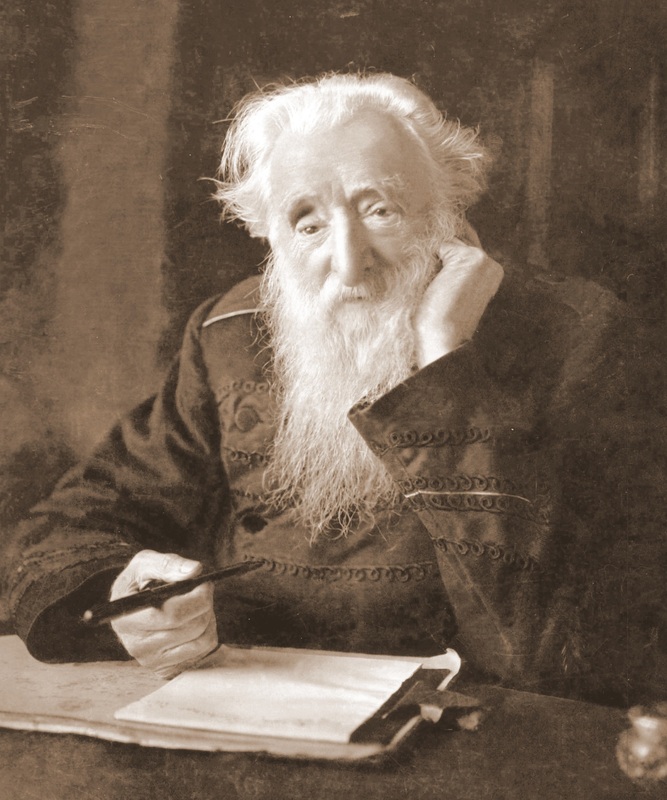 William Booth was born in Sneinton, Nottingham, the second son of five children born to Samuel Booth and his second wife, Mary Moss. Booth’s father was relatively wealthy by the standards of the time, but during William’s childhood, the family descended into poverty. In 1842, Samuel Booth, who could no longer afford his son’s school fees, apprenticed the 13-year-old William Booth to a pawnbroker. Samuel Booth died on 23 September 1843. Two years into his apprenticeship Booth converted to Methodism. He then read extensively and trained himself in writing and in speech, becoming a Methodist lay preacher. Booth was encouraged to be an evangelist primarily through his best friend, Will Sansom. Sansom and Booth both began in the 1840s to preach to the poor of Nottingham, and Booth would probably have remained as Sansom’s partner in his new Mission Ministry, as Sansom called it, had Sansom not died of tuberculosis, in 1849. When his apprenticeship ended in 1848, Booth was unemployed and spent a year looking in vain for work. In 1849, he reluctantly left his family and moved to London, where he again found work with a pawnbroker. He tried to continue lay preaching in London, but the small amount of preaching work that came his way frustrated him, and so he resigned as a lay preacher and took to open-air evangelizing in the streets and on Kennington Common. In 1851, Booth joined the Reformers (Methodist Reform Church), and on 10 April 1852, his 23rd birthday, he left pawnbroking and became a full-time preacher at their headquarters at Binfield Chapel in Clapham. William styled his preaching after the U.S. revivalist James Caughey, who had made frequent visits to England and preached at the church in Nottingham where Booth was a member, Broad Street Chapel. 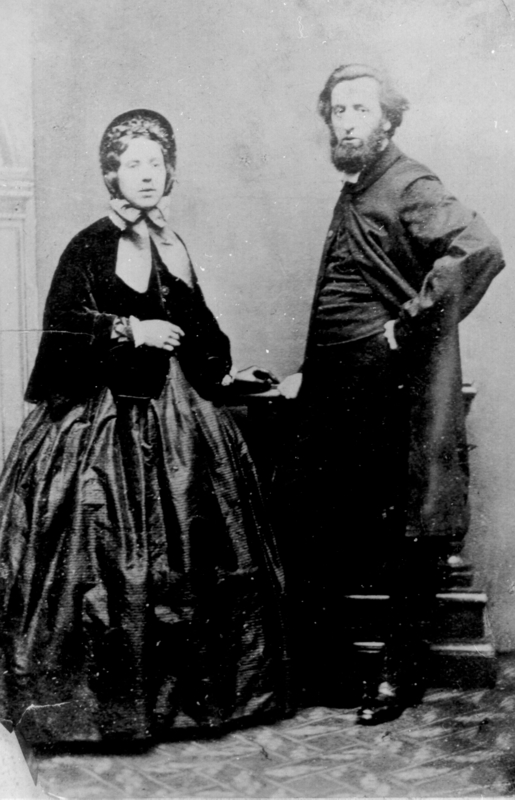 Just over a month after he started full-time preaching, on 15 May 1852, Booth became formally engaged to Catherine Mumford. In November 1853, Booth was invited to become the Reformers’ minister at Spalding, in Lincolnshire. Booth married Catherine Mumford on 16 June 1855 at Stockwell Green Congregational Church in London. Their wedding was very simple, as they wanted to use their time and money for his ministry. Even on their honeymoon Booth was asked to speak at meetings. Though Booth became a prominent Methodist evangelist, he was unhappy that the annual conference of the denomination kept assigning him to a pastorate, the duties of which he had to neglect to respond to the frequent requests that he conduct evangelistic campaigns. At the Liverpool conference in 1861, after having spent three years at Gateshead, his request to be freed for evangelism full-time was refused yet again, and Booth resigned from the ministry of the Methodist New Connexion. In consequence he was barred from campaigning in Methodist congregations, so he became an independent evangelist. His doctrine remained much the same, though. He never moved very far from basic Methodist beliefs. 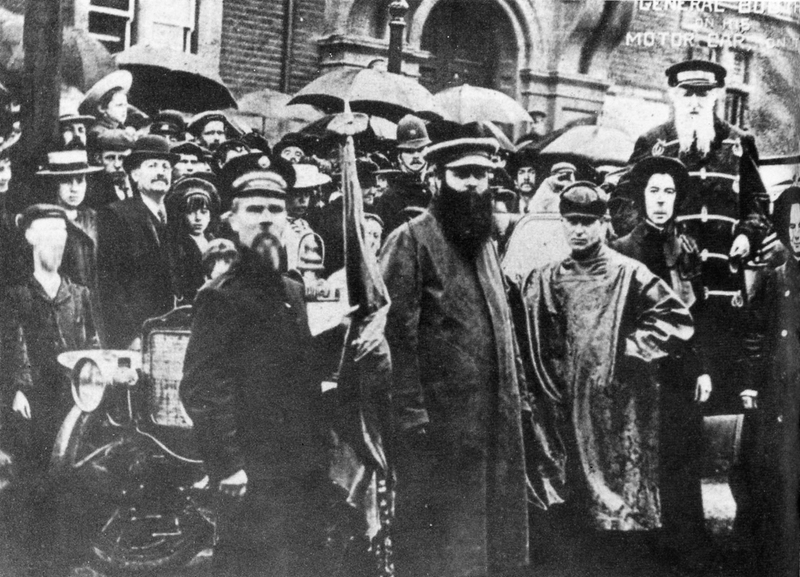 In 1865 Booth was in the East End of London, preaching to crowds of people in the streets. Outside The Blind Beggar public house some missioners heard him speaking and were so impressed by his preaching that they invited him to lead a series of meetings they were holding in a large tent. The tent was set up on an old Quaker burial ground on Mile End Waste in Whitechapel. The first of these meetings was held on 2 July 1865. 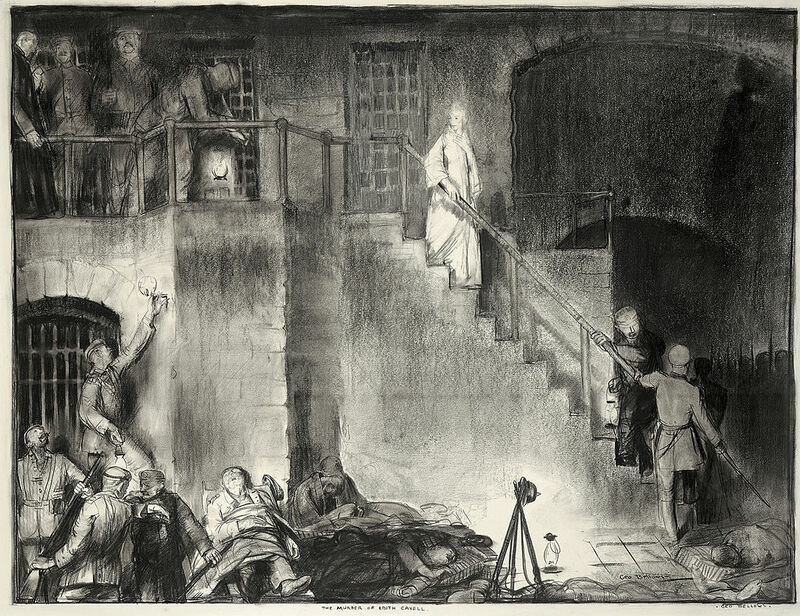 Booth soon realized he had found his destiny, and later in 1865 he and his wife Catherine opened ‘The Christian Revival Society’ in the East End of London, where they held meetings every evening and on Sundays, preaching to the poorest and most needy, including alcoholics, criminals and prostitutes. The Christian Revival Society was later renamed The Christian Mission. Slowly The Christian Mission began to grow but the work was difficult and his wife wrote that he would “stumble home night after night haggard with fatigue, often his clothes were torn, and bloody bandages swathed his head where a stone had struck.” He held evening in an old warehouse where boys threw stones and fireworks through the window. He continued however, and also opened “Food for the Million Shops,” that is, soup kitchens, apparently shrugging off the constant derision. The name The Salvation Army developed from an incident in May 1878. Booth was dictating a letter to his secretary George Scott Railton and said, “We are a volunteer army.” When his son Bramwell Booth heard his father say this he said, “Volunteer, I’m no volunteer, I’m a regular!” William instructed Railton to cross out the word “volunteer” and substitute the word “salvation.” The Salvation Army was modeled after the military, with its own flag (battle colors) and its own music, often with Christian words to popular and folk tunes sung in the pubs. Booth and the other soldiers in “God’s Army” would wear the Army’s own uniform, “putting on the armour,” for meetings and ministry work. He became the general and his other ministers were given appropriate ranks as officers. Other members became soldiers. Though the early years were lean ones, with the need of money to help the poor an ever growing issue, Booth and The Salvation Army persevered. In the early 1880s, operations were extended to other countries, notably the United States, France, Switzerland, Sweden and others, including to most of the countries of the British Empire: Australia, Canada, India, Cape Colony, New Zealand, Jamaica, etc. Often the beginnings in other countries occurred through the “salvationist” activities of soldiers who had emigrated. With some initial success they would contact London to send officers to organize the cause. In Argentina, a non-salvationist wrote to Booth saying that there were thousands of British people there who needed salvation. I find it slightly odd that the writer should emphasize the British immigrants, as needing salvation more than Argentinos; it’s worth a smile in hindsight. The four officers sent in 1890 found that the British were scattered all over the rural areas, mostly in the south in La Pampa and Patagonia, working as sheep farmers. But the missionaries started ministry in English and Spanish, and the work spread throughout the country – initially following the railroad development, since the British in charge of building the railroads were usually sympathetic to the movement. (As a small aside, this harks back to my post on Brunel yesterday. British engineers were in the forefront of railroad development in South America because of Brunel’s work). During his lifetime, Booth established Army work in 58 countries and colonies, traveling extensively and holding salvation meetings. He regularly published a magazine and was the author of a number of books; he also composed several songs. His book In Darkest England and the Way Out not only became a best-seller after its 1890 release, it set the foundation for the Army’s modern social welfare approach. He proposed a strategy to apply the Christian Gospel and work ethic to the problems. His book speaks of abolishing vice and poverty by establishing homes for the homeless, farm communities where the urban poor can be trained in agriculture, training centers for prospective emigrants, homes for prostitutes and released prisoners, aid for the poor, and help for alcoholics. He also laid down schemes for lawyers, banks, clinics, industrial schools and even a seaside resort for the poor. He adamantly affirmed that if the state fails to meet its social obligations it was the task of each Christian to step into the breach. 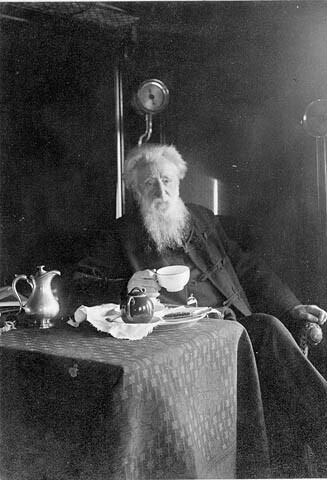 William Booth was 83 years old when he died (or, in Salvationist parlance, was Promoted to Glory) at his home in Hadley Wood, London. At the three day lying in state at Clapton Congress Hall 150,000 people filed past his casket. On 27 August 1912 Booth’s funeral service was held at London’s Olympia where 40,000 people attended, including Queen Mary, who sat almost unrecognized far to the rear of the great hall. It’s only 44 seconds long, but if you cannot view it, essentially, “Salvation Army lassies” became legendary in WW I, and again in WW II, for giving free doughnuts and coffee to soldiers. 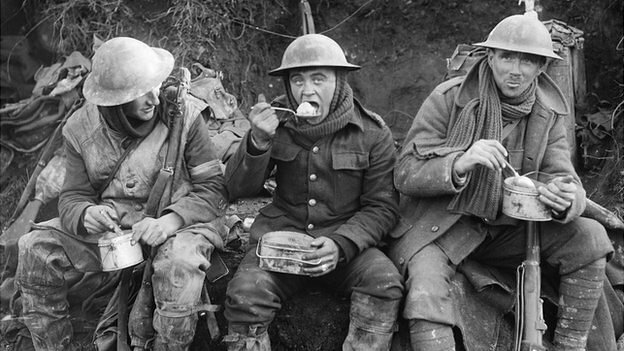 They chose doughnuts because field kitchens generally did not have ovens to bake cakes or cookies. 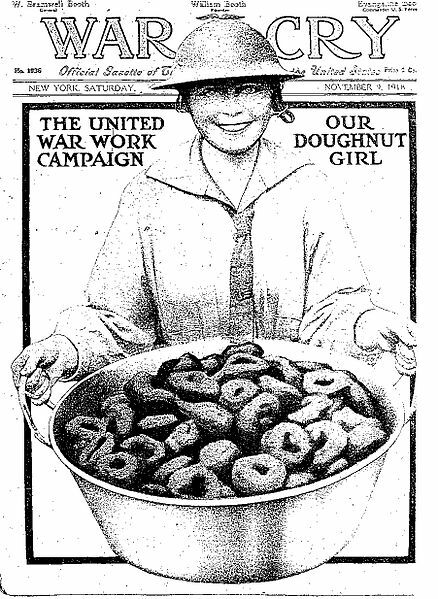 Here is a recipe taken directly from a Salvation Army website: http://salvationarmynorth.org/about-us/history/original-salvation-army-donut-recipe-video/. You might want to substitute something healthier for the tub of lard, although lard is superior for frying. If it were me I wouldn’t let them cool either. Fresh doughnuts straight from the fryer are unbeatable. It’s easy to halve the recipe if 48 are too many for you. Drop the rings into the lard, making sure the fat is hot enough to brown the donuts gradually. Turn the donuts slowly several times. When browned, remove donuts and allow excess fat to drip off. 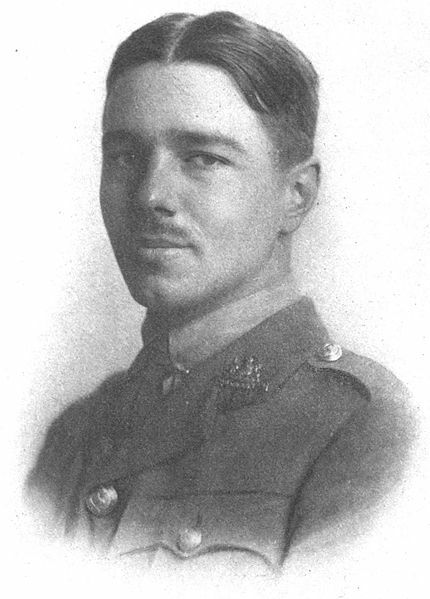 Wilfred Owen was born at Plas Wilmot, a house in Weston Lane, near Oswestry in Shropshire of mixed English and Welsh ancestry. He was the eldest of four children, his siblings being Harold, Colin, and Mary Millard Owen. At that time, his parents, Thomas and Harriet Susan (née Shaw) Owen, lived in a comfortable house owned by his grandfather, Edward Shaw but, after the latter’s death in January 1897, and the house’s sale in March, the family lodged in back streets of Birkenhead while Thomas temporarily worked in the town with the railway company employing him. 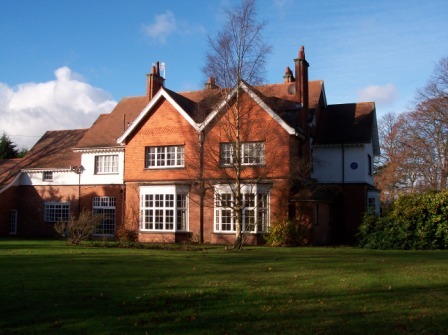 In April the latter transferred to Shrewsbury, where the family lived with Thomas’ parents in Canon Street. In 1898, Thomas transferred to Birkenhead again when he became stationmaster at Woodside station and the family lived with him, at three successive homes in the Tranmere district, before moving back to Shrewsbury in 1907. Wilfred was educated at the Birkenhead Institute and at Shrewsbury Technical School (later known as the Wakeman School). He discovered his poetic vocation in 1903 or 1904 during a holiday spent in Cheshire. Owen was raised as an Anglican of the evangelical school, and in his youth was a devout believer, in part due to his strong relationship with his mother, which was to last throughout his life. His early influences included the Bible and the “big six” of romantic poetry, particularly John Keats. For Owen’s last two years of formal education he was a pupil-teacher at the Wyle Cop school in Shrewsbury. In 1911, he passed the matriculation exam for the University of London, but not with the first-class honours needed for a scholarship, which in his family’s circumstances was the only way he could have afforded to attend. In return for free lodging, and some tuition for the entrance exam, Owen worked as lay assistant to the Vicar of Dunsden near Reading. 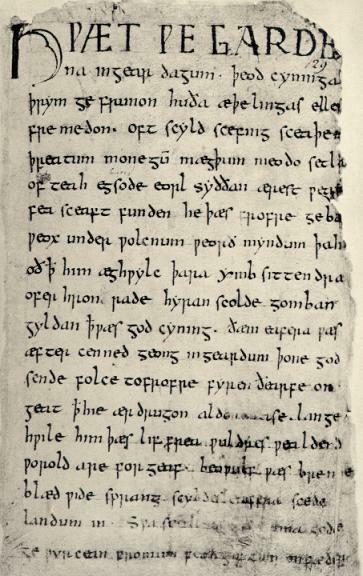 During this time he attended classes at University College, Reading (now the University of Reading), in botany and later, at the urging of the head of the English Department, took free lessons in Old English. His time spent at Dunsden parish led him to disillusionment with the Church, both in its ceremony and its failure to provide aid for those in need. From 1913, he worked as a private tutor teaching English and French at the Berlitz School of Languages in Bordeaux, France, and later with a family. There he met the older French poet Laurent Tailhade, with whom he later corresponded in French. When war broke out, he did not rush to enlist, and even considered the French army, but eventually returned to England. 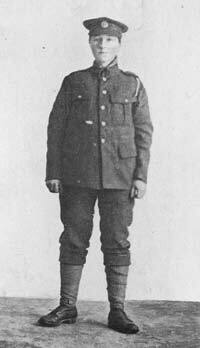 On 21 October 1915, he enlisted in the Artists’ Rifles Officers’ Training Corps. For the next seven months, he trained at Hare Hall Camp in Essex. On 4 June 1916 he was commissioned as a second lieutenant (on probation) in the Manchester Regiment. Initially, he held his troops in contempt for their loutish behavior, and in a letter to his mother described his company as “expressionless lumps.” However, his life was to be changed dramatically by a number of traumatic experiences. He fell into a shell hole and suffered concussion; he was blown high into the air by a trench mortar, and spent several days lying out on an embankment in Savy Wood amongst (or so he thought) the remains of a fellow officer. 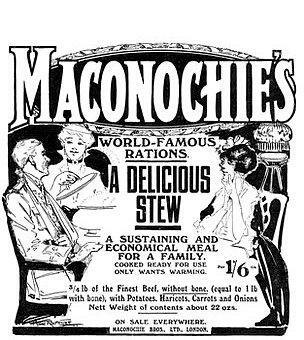 Soon afterwards, Owen was diagnosed as suffering from neurasthenia or shell shock and sent to Craiglockhart War Hospital in Edinburgh for treatment. It was while recuperating at Craiglockhart that he met fellow poet Siegfried Sassoon, an encounter that was to transform Owen’s life. Whilst at Craiglockhart, he made friends in Edinburgh’s artistic and literary circles, and did some teaching at the Tynecastle High School, in a poor area of the city. In November he was discharged from Craiglockhart, judged fit for light regimental duties. He spent a contented and fruitful winter in Scarborough, and in March 1918 was posted to the Northern Command Depot at Ripon. While in Ripon he composed or revised a number of poems, including “Futility” and “Strange Meeting.” He spent his 25th birthday quietly at Ripon Cathedral, which is dedicated to his namesake, St. Wilfrid of Hexham. 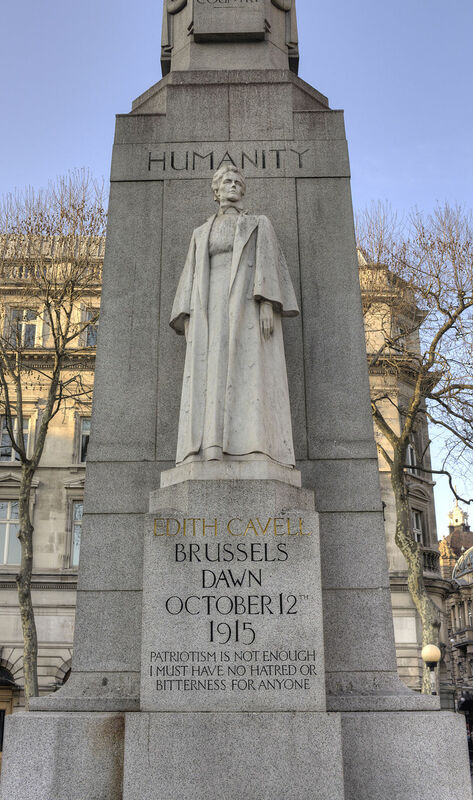 For conspicuous gallantry and devotion to duty in the attack on the Fonsomme Line on October 1st/2nd, 1918. On the company commander becoming a casualty, he assumed command and showed fine leadership and resisted a heavy counter-attack. He personally manipulated a captured enemy machine gun from an isolated position and inflicted considerable losses on the enemy. Throughout he behaved most gallantly. Owen is regarded by some critics as the leading poet of the First World War, known for his war poetry on the horrors of trench and gas warfare. He had been writing poetry for some years before the war, himself dating his poetic beginnings to a stay at Broxton by the Hill, when he was ten years old. The Romantic poets Keats and Shelley influenced much of Owen’s early writing and poetry. 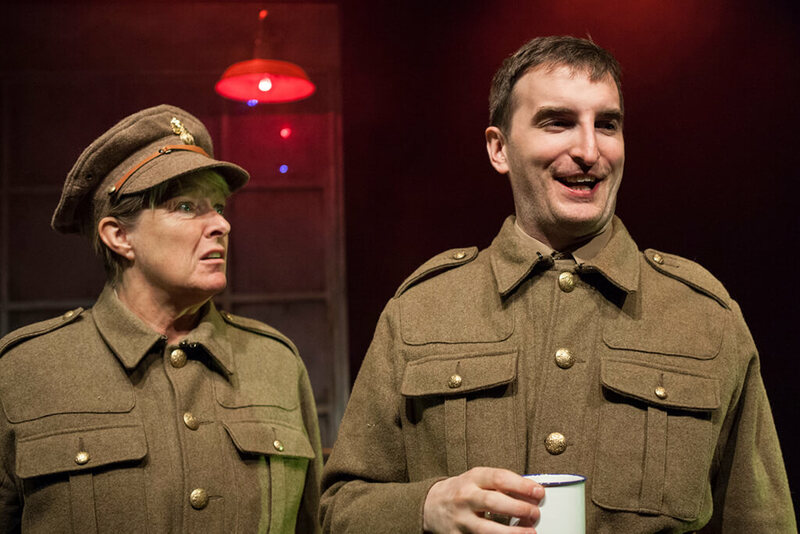 His great friend, the poet Siegfried Sassoon, later had a profound effect on Owen’s poetic voice, and Owen’s most famous poems (“Dulce et Decorum Est” and “Anthem for Doomed Youth”) show direct results of Sassoon’s influence. Manuscript copies of the poems survive, annotated in Sassoon’s handwriting. Owen’s poetry would eventually be more widely acclaimed than that of his mentor. While his use of pararhyme (near rhyme) with heavy reliance on assonance of consonants was innovative, he was not the only poet at the time to use these particular techniques. He was, however, one of the first to experiment with it extensively. Here is an excerpt from “Strange Meeting” with the pararhymes in bold. 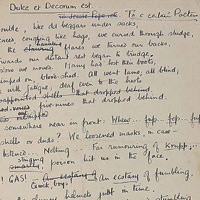 Here is “Dulce et Decorum Est” preceded by the marked up manuscript. His poetry itself underwent significant changes in 1917. As a part of his therapy at Craiglockhart, Owen’s doctor, Arthur Brock, encouraged Owen to translate his experiences, specifically the experiences he relived in his dreams, into poetry. Sassoon, who was becoming influenced by Freudian psychoanalysis, aided him here, showing Owen through example what poetry could do. Sassoon’s use of satire influenced Owen, who tried his hand at writing “in Sassoon’s style”. Further, the content of Owen’s verse was undeniably changed by his work with Sassoon. Sassoon’s emphasis on realism and “writing from experience” was contrary to Owen’s hitherto romantic-influenced style, as seen in his earlier sonnets. 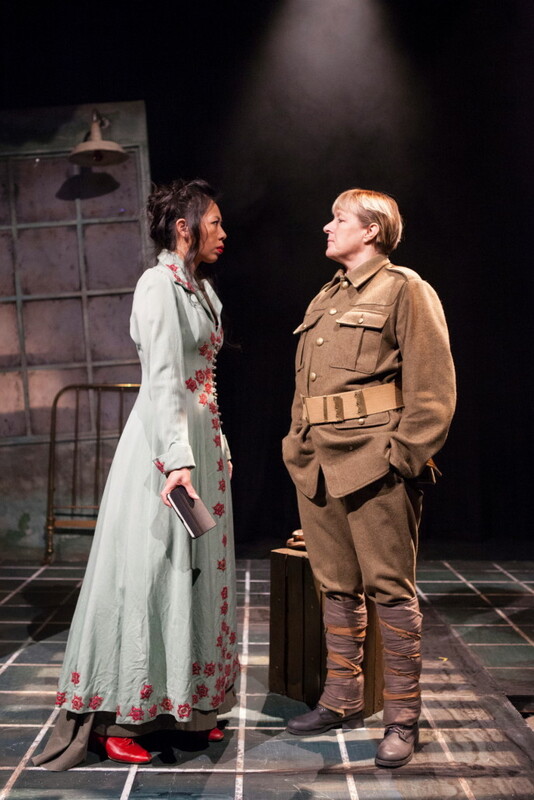 Owen was to take both Sassoon’s gritty realism and his own romantic notions and create a poetic synthesis that was both potent and sympathetic, as summarised by his famous phrase “the pity of war”. In this way, Owen’s poetry is quite distinctive, and he is, by many, considered a greater poet than Sassoon. Nonetheless, Sassoon contributed to Owen’s popularity by his strong promotion of his poetry, both before and after Owen’s death, and his editing was instrumental in the making of Owen as a poet. Owen’s poems had the benefit of strong patronage, and it was a combination of Sassoon’s influence, support from Edith Sitwell, and the preparation of a new and fuller edition of the poems in 1931 by Edmund Blunden that ensured his popularity, coupled with a revival of interest in his poetry in the 1960s which plucked him out of a relatively exclusive readership into the public eye. Though he had plans for a volume of verse, for which he had written a “Preface”, he never saw his own work published apart from those poems he included in The Hydra, the magazine he edited at Craiglockhart War Hospital, and “Miners,” which was published in The Nation. There were many other influences on Owen’s poetry, including his mother. His letters to her provide an insight into Owen’s life at the front, and the development of his philosophy regarding the war. Graphic details of the horror Owen witnessed were never spared. 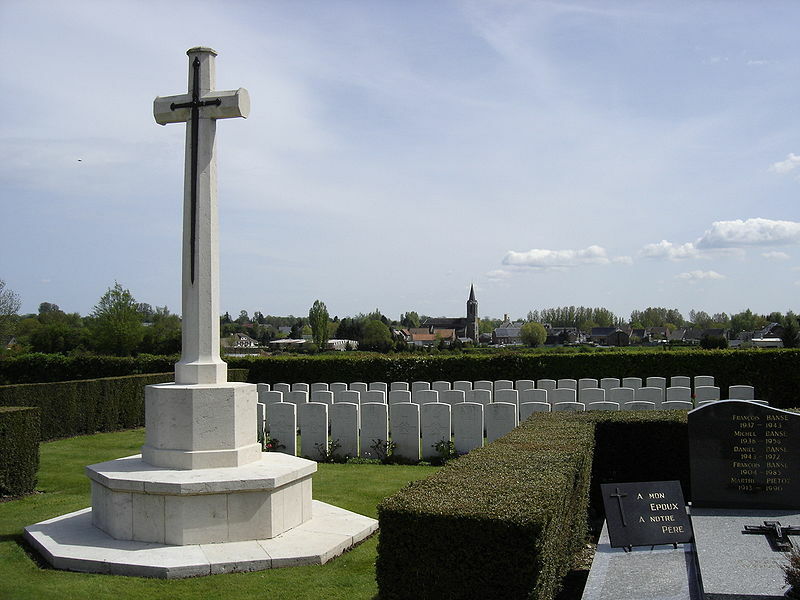 Owen’s experiences with religion also heavily influenced his poetry, notably in poems such as “Anthem for Doomed Youth”, in which the ceremony of a funeral is re-enacted not in a church, but on the battlefield itself, and “At a Calvary near the Ancre”, which comments on the Crucifixion of Christ. 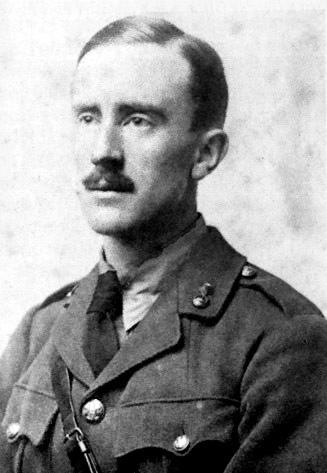 Owen’s experiences in war led him further to challenge his religious beliefs, claiming in his poem “Exposure” that “love of God seems dying”. In July 1918, Owen returned to active service in France, although he might have stayed on home-duty indefinitely. His decision was probably the result of Sassoon’s being sent back to England, after being shot in the head in an apparent “friendly fire” incident, and put on sick-leave for the remaining duration of the war. Owen saw it as his duty to add his voice to that of Sassoon, that the horrific realities of the war might continue to be told. Sassoon was violently opposed to the idea of Owen returning to the trenches, threatening to “stab [him] in the leg” if he tried it. Aware of his attitude, Owen did not inform him of his action until he was once again in France. On 11 November 1985, Owen was one of the 16 Great War poets commemorated on a slate stone unveiled in Westminster Abbey’s Poet’s Corner. The inscription on the stone is taken from Owen’s “Preface” to his poems: “My subject is War, and the pity of War. 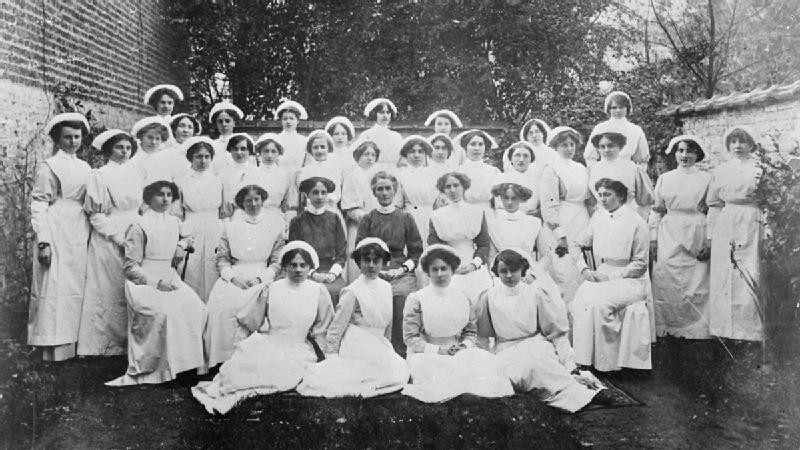 The Poetry is in the pity.” There is also a small museum dedicated to Owen and Sassoon at the Craiglockhart War Hospital, now a Napier University building. The forester’s house in Ors where Owen spent his last night, Maison forestière de l’Ermitage, has been transformed by Turner Prize nominee Simon Patterson into an art installation and permanent memorial to Owen and his poetry, which opened to the public on 1 October 2011. 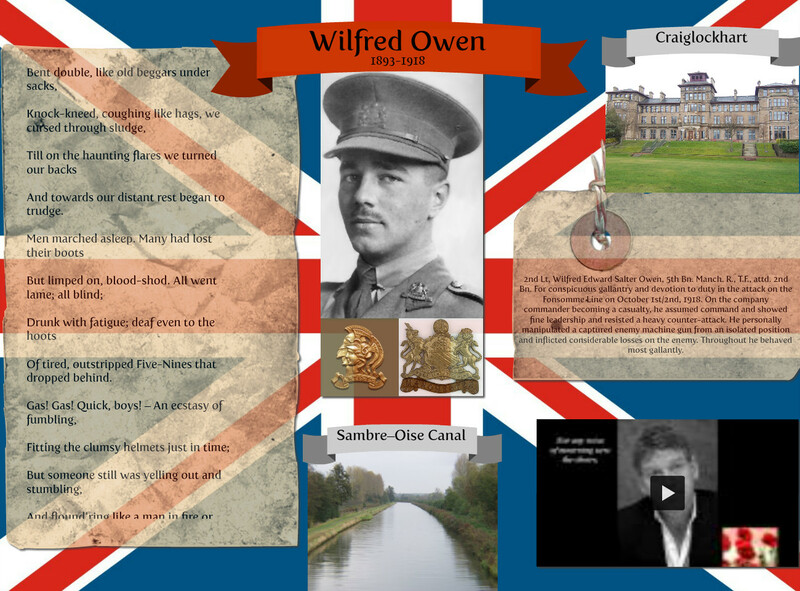 Here’s a recipe from Picardy where Owen was killed and now rests in peace. Picardy is especially noted for terroir cuisine (cooking using local ingredients only). Maroilles (also known as Marolles) is a cow’s-milk cheese made in the regions of Picardy and Nord-Pas-de-Calais in northern France. It derives its name from the village of Maroilles in the region in which it is still manufactured. The curd is shaped and salted before being removed from its mold and placed in a ventilated drying area for around ten days during which time a light coating of bacteria develops. The cheese is then brushed and washed and cellared for at least five weeks, though periods of up to four months are not uncommon. During this time it is turned and brushed at regular intervals to remove the natural white mold and to allow its red bacteria to change the rind from yellow to red. 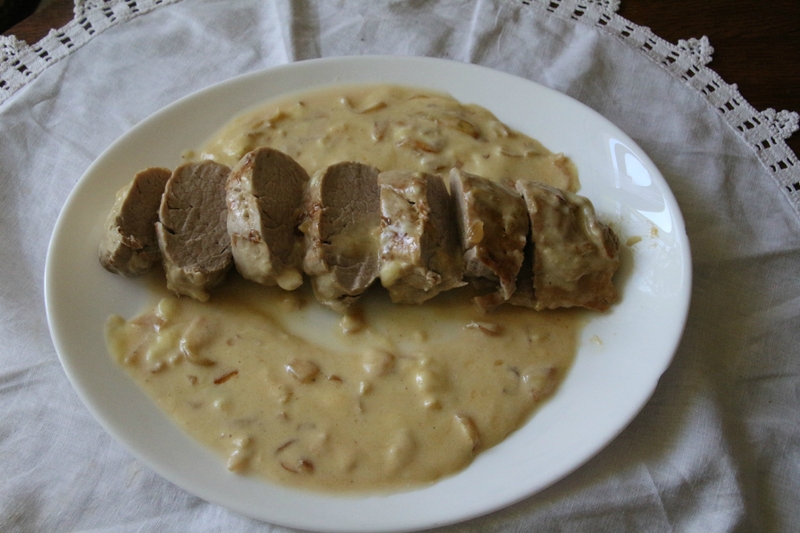 For filet de veau au lard à la crème de maroilles a loin of veal is larded with bacon, baked, and then smothered in a sauce made from Maroilles and Picardy beer. Because this is a terroir dish you going to be hard put to make it at home — unless your home is in Picardy. Bard (wrap) the veal loin with slices of bacon. Brown the barded loin on all sides in a heavy skillet. Place the loin in a baking dish and bake for 40 minutes. Melt the maroilles with the beer in the skillet along with the veal and bacon juices. Add the cream plus salt and pepper to taste. Coat the bottom of a serving plate with the maroilles sauce. Place the loin on top cut into thick slices (3 per person). Serve with egg noodles or new potatoes plus crusty bread. 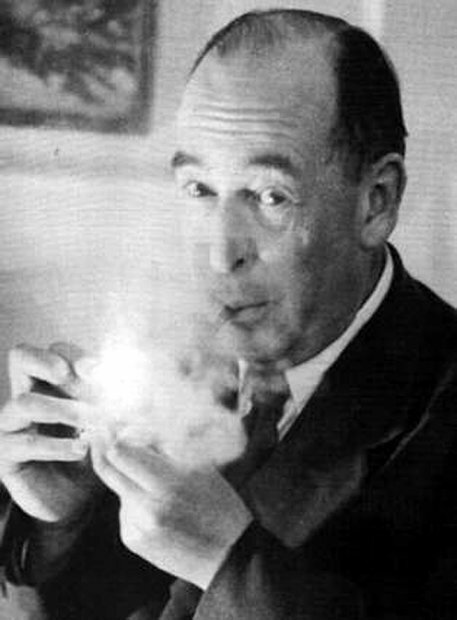 Today is the birthday (1898) of Clive Staples Lewis – commonly called C. S. Lewis and known to his friends and family as “Jack” – novelist, poet, academic, medievalist, literary critic, essayist, lay theologian, and Christian apologist. He was born in Belfast and held academic positions at both Oxford University (Magdalen College), 1925–1954, and Cambridge University (Magdalene College), 1954–1963. He is best known both for his fictional work, especially The Chronicles of Narnia, and for his non-fiction Christian apologetics, such as Mere Christianity, Miracles, and The Problem of Pain. According to his memoir Surprised by Joy, Lewis had been baptized in the Church of Ireland (part of the Anglican Communion) at birth, but fell away from his faith during his adolescence. 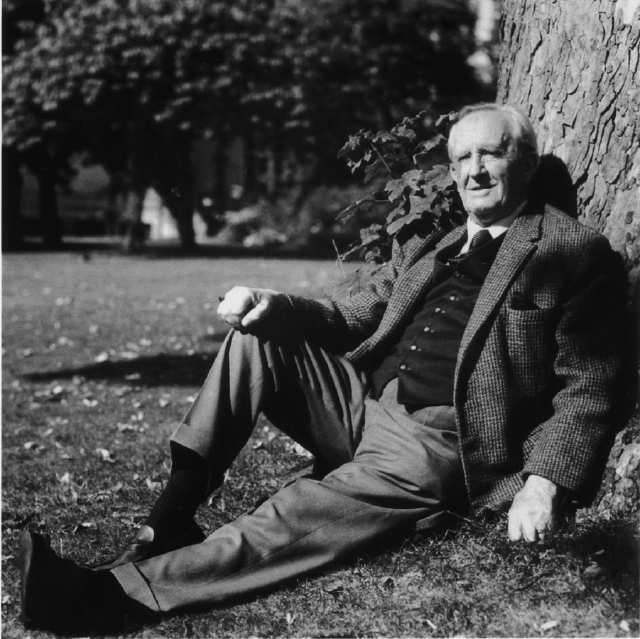 Owing to the influence of Tolkien and other friends, at the age of 32 Lewis returned to the Anglican Communion, becoming “a very ordinary layman of the Church of England.” His faith had a profound effect on his work, and his wartime radio broadcasts on the subject of Christianity during WW II brought him wide acclaim. At the age of four, shortly after his dog Jacksie was killed by a car, he announced that his name was now Jacksie. At first, he would answer to no other name, but later accepted Jack, the name by which he was known to friends and family for the rest of his life. When he was seven, his family moved into “Little Lea,” the family home of his childhood, in the Strandtown area of East Belfast. As a teenager, he was fascinated by the songs and legends of what he called Northernness, the ancient literature of Scandinavia preserved in the Icelandic sagas. These legends intensified an inner longing he later called “joy.” He also grew to love nature; its beauty reminded him of the stories of the North. His teenage writings moved away from the tales of Boxen, and he began using different art forms (epic poetry and opera) to try to capture his new-found interest in Norse mythology and the natural world. Through boyhood study of Classics he also developed love of Greek literature including works in rhetoric and logic, as well as the familiar legends and mythology. 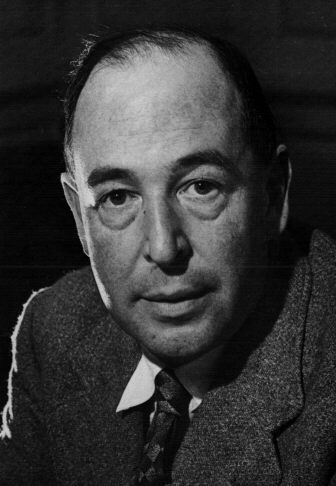 In 1916, Lewis was awarded a scholarship at University College, Oxford to study Classics. 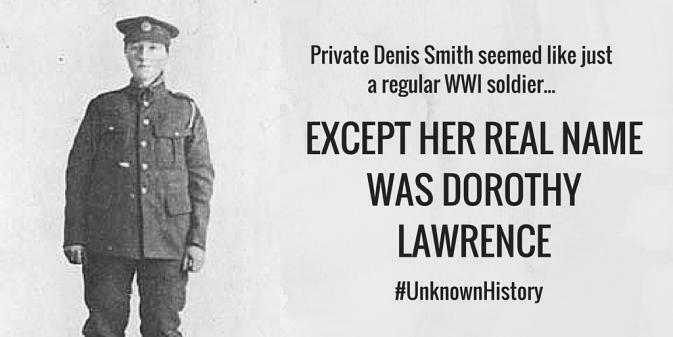 Before he was allowed to attend Oxford, however, Lewis was conscripted into the First World War. His experience of the horror of war confirmed his atheism. 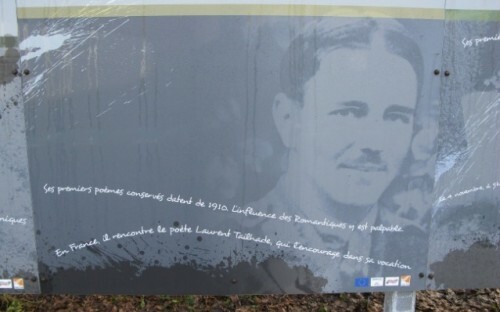 On 15 April 1918, Lewis was wounded and two of his colleagues were killed by a British shell falling short of its target. While being trained for the army, Lewis shared a room with another cadet, Edward Courtnay Francis “Paddy” Moore (1898–1918). Maureen Moore, Paddy’s sister, said that the two made a mutual pact that if either died during the war, the survivor would take care of both their families. Paddy was killed in action in 1918 and Lewis kept his promise. 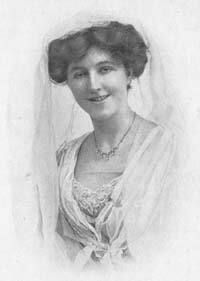 Paddy had earlier introduced Lewis to his mother, Jane King Moore, and a friendship quickly sprang up between Lewis, who was eighteen when they met, and Jane who was forty-five. The friendship with Moore was particularly important to Lewis while he was recovering from his wounds in hospital, as his father did not visit him. Lewis lived with and cared for Jane Moore until she was hospitalized in the late 1940s. He routinely introduced her as his “mother,” and referred to her as such in letters. Lewis, whose own mother had died when he was a child and whose father was distant, demanding and eccentric, developed a deeply affectionate friendship with Moore. 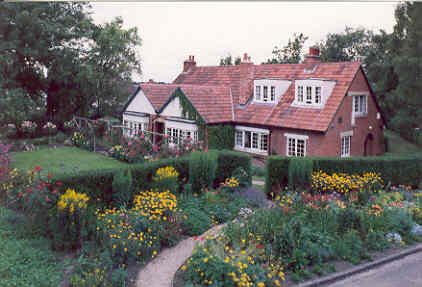 In 1930, Lewis and his brother Warnie moved, with Jane Moore and her daughter Maureen, into “The Kilns,” a house in Headington Quarry on the outskirts of Oxford, now part of the suburb of Risinghurst. They all contributed financially to the purchase of the house, which passed to Maureen, who by then was Dame Maureen Dunbar, when Warnie died in 1973. Lewis was a committed Anglican who upheld a largely orthodox Anglican theology, though in his apologetic writings, he made an effort to avoid embracing any one denomination. In his later writings, he espoused ideas such as purification of venial sins after death in purgatory (The Great Divorce and Letters to Malcolm) and mortal sin (The Screwtape Letters), which are generally considered to be Roman Catholic teachings, although they are also widely held in Anglicanism (particularly in high church Anglo-Catholic circles). Regardless, Lewis considered himself an entirely orthodox Anglican to the end of his life, reflecting that he had initially attended church only to receive communion and had been repelled by the hymns and the poor quality of the sermons. 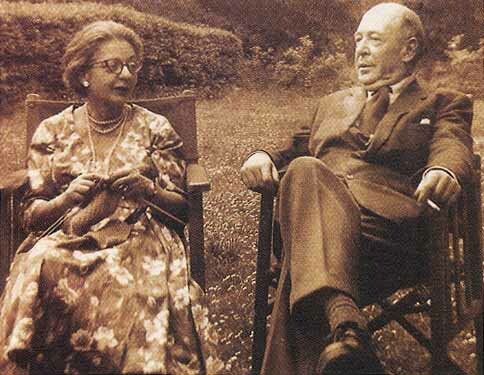 In Lewis’s later life, he corresponded with and later met Joy Davidman Gresham, a U.S. writer of Jewish background, a former Communist, and a convert from atheism to Christianity. 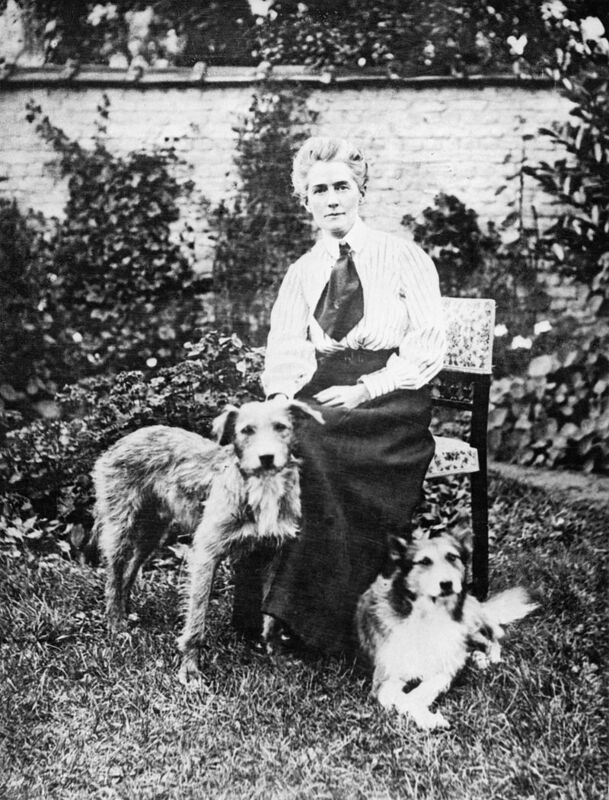 She was separated from her alcoholic and abusive husband, the novelist William L. Gresham, and went to England with her two sons, David and Douglas. 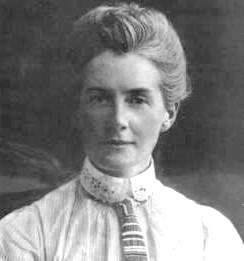 Lewis at first regarded her as an agreeable intellectual companion and personal friend, and it was at least overtly on this level that he agreed to enter into a civil marriage contract with her so that she could continue to live in the U.K. His brother wrote, “For Jack the attraction was at first undoubtedly intellectual. Joy was the only woman whom he had met who had a brain which matched his own in suppleness, in width of interest, and in analytical grasp, and above all in humour and a sense of fun.” However, after complaining of a painful hip, she was diagnosed with terminal bone cancer, and the relationship developed to the point that they sought a Christian marriage. Since she was divorced, this was not straightforward in the Church of England at the time, but a friend, the Rev. Peter Bide, performed the ceremony at her bed in the Churchill Hospital on 21 March 1957. Joy’s cancer soon went into a brief remission, and the couple lived as a family (together with Warnie) until her eventual relapse and death in 1960. 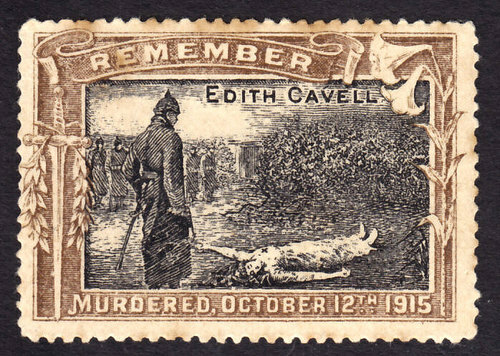 The year she died, the couple took a brief holiday in Greece and the Aegean; Lewis was fond of walking but not of travel, and this marked his only crossing of the English Channel after 1918. Lewis’s book A Grief Observed describes his experience of bereavement in such a raw and personal fashion that Lewis originally released it under the pseudonym N.W. Clerk to keep readers from associating the book with him. Ironically, many friends recommended the book to him as a method for dealing with his own grief. After his death, his authorship was made public by Faber’s, with the permission of the executors. Lewis continued to raise Gresham’s two sons after her death. While Douglas Gresham is, like Lewis and his mother, a Christian, David Gresham turned to the faith into which his mother had been born and became an Orthodox Jew. His mother’s writings had featured the Jews, particularly one “shohet” (ritual slaughterer), in an unsympathetic manner. David informed Lewis that he was going to become a ritual slaughterer in order to present this type of Jewish religious functionary to the world in a more favorable light. 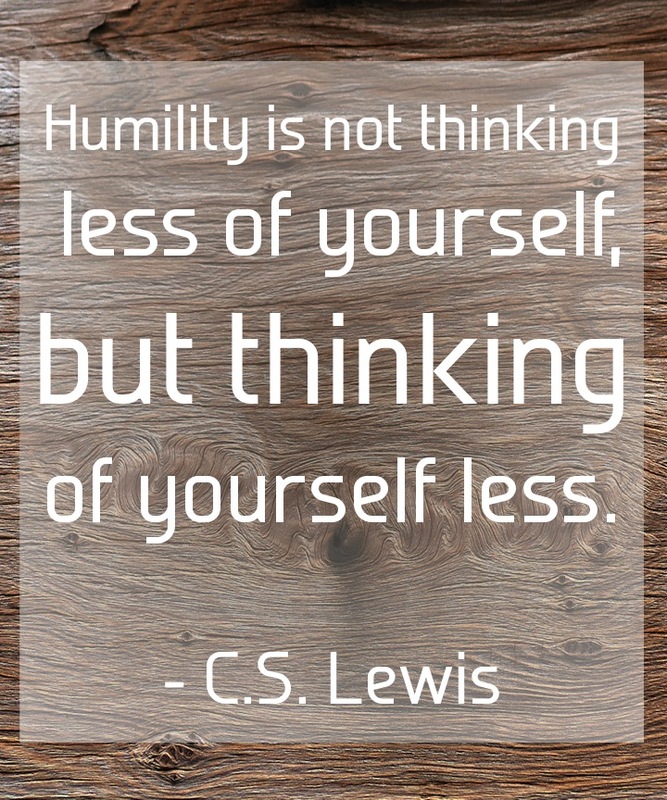 It is no surprise to me that C. S. Lewis quotes are among the most popular on social media. C. S. Lewis by his own admission was extremely fond of traditional British cooking — ham and eggs being his favorite, but also steak and kidney pie, fish and chips, fried sausages, bread and cheese, roast mutton. So once again I get to extol the virtue of this cuisine, much maligned by the ignorant. To celebrate C.S. 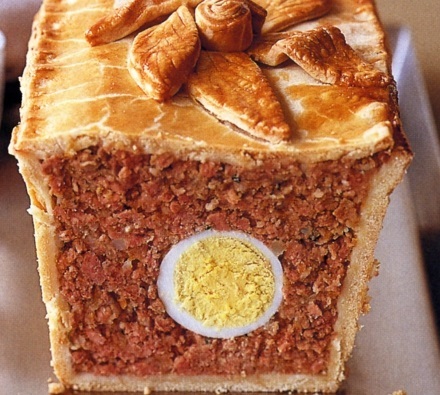 Lewis I give you veal, ham, and egg pie which I always used to make around Christmas. It uses what is known as “slack pastry,” unusual in that it is made with a mix of boiling water and lard. The pastry is flaky on the outside, but sturdy enough that pies made of it can stand alone without a container. Grease a 2 ½ pint/1.4 litre loaf tin well with lard. Put the veal, ham, parsley, mace, bay leaves, and lemon zest in a bowl and mix thoroughly. Put the lard and water in a saucepan and gently heat until the lard has melted. Bring to the boil, remove from the heat and tip quickly into the flour. First with a wooden spoon, then with your hands as soon as it is cool enough to work, mix the ingredients until you have a soft pliable dough. Take two-thirds of the dough while it is still warm and roll it flat. Place it in the greased tin and work it up the sides with your fingers, making sure it is evenly distributed and over laps the rim. Press in half the meat mixture and place the eggs in a line down the centre. Fill with the remaining meat mixture. Roll out the remaining pastry for the lid. Cover the pie with the pastry and seal the edges. Use the pastry trimmings to decorate the top, then make one large hole in the center of the pie. Bake for 1 ½ hours. 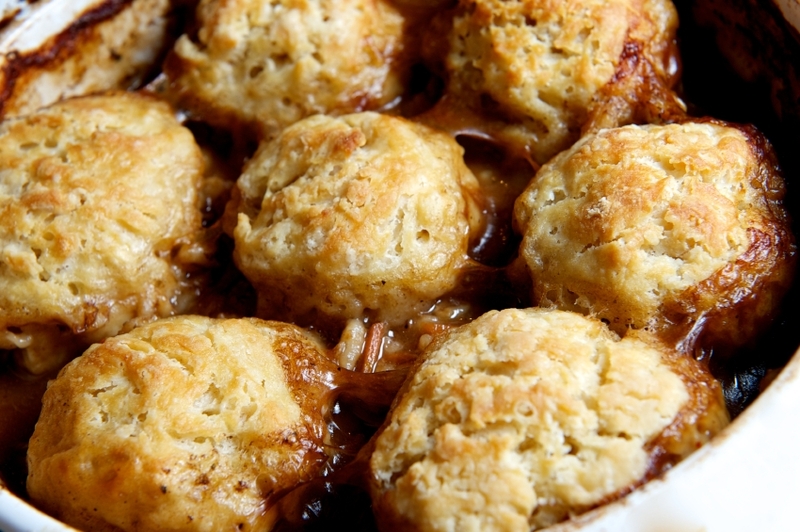 If necessary, cover the pastry with foil towards the end of the cooking time to prevent over-browning. Make up an aspic jelly by dissolving the gelatin in boiling stock. Cool for about 10 minutes. Using a funnel pour the liquid aspic through the hole in the top of the pie. You need to take your time with this step because the pie will appear to be filled, but then the aspic will seep down slowly through the meat filling. Chill the pie for at least 3 hours or overnight (preferable). To turn out leave the pie to stand at room temperature for about 1 hour, then immerse the tin in very hot water, making sure not to dampen the pastry top, for several minutes. Cut into thick slices, and serve on a bed of watercress or lettuce, with hot English mustard(cook gets the end pieces as a bedtime snack). 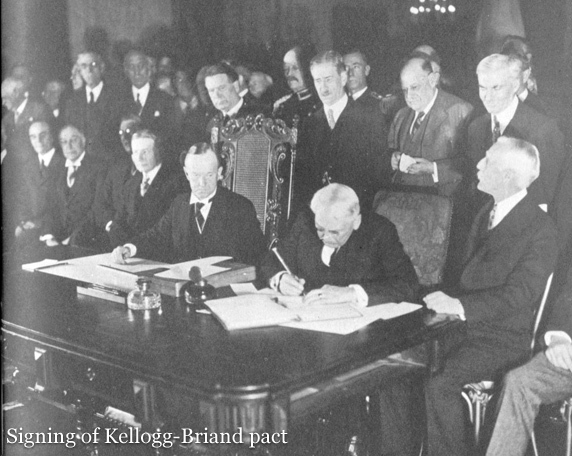 On this date in 1928 the Kellogg–Briand Pact (or Pact of Paris, officially General Treaty for Renunciation of War as an Instrument of National Policy) was signed by France, the United States, and 13 other nations. It was the brainchild of French foreign minister Aristide Briand, but codified and expanded by United States Secretary of State Frank B. Kellogg. 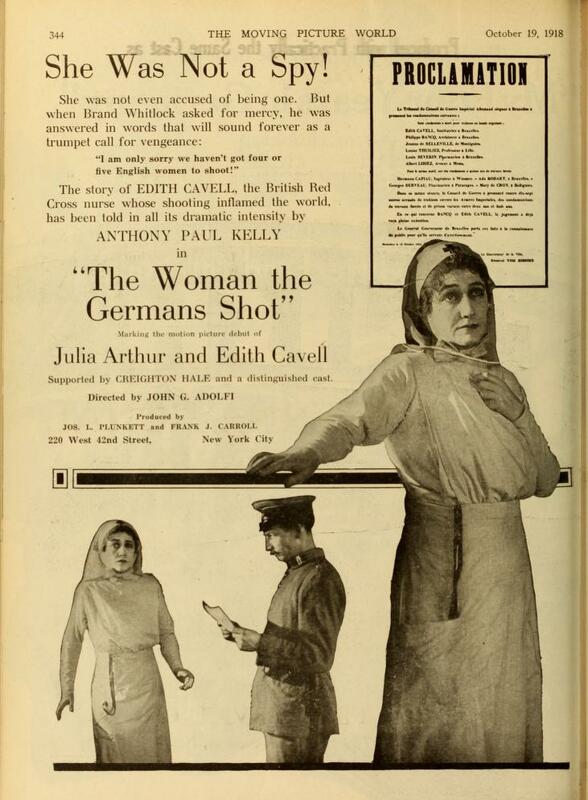 It was a most laudable effort in the aftermath of the First World War (known as “The Great War” at that time), to appeal to nations to resolve differences without resort to war. I wholeheartedly applaud the effort, and have no difficulty celebrating the day, even though the effort was a complete failure. I should note that the pact has never been repealed in the U.S. so, in some technical sense, it is still in force. The map below charts the worldwide signatories to the pact. Dark green represents the original signatories, light green represents subsequent signatories, and light blue represents dependent colonies of nations who signed, and were, therefore, legally bound as well. I am interested to note that almost all of Latin America is conspicuous in its failure to sign on, mainly because Latin American nations were neutral during the First World War (following the Hague Conventions of 1899 and 1907). Only Brazil was directly involved and not until 1917. 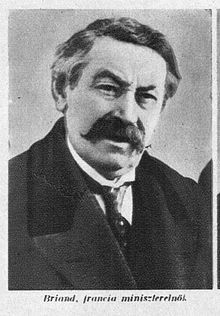 French Minister of Foreign Affairs Aristide Briand’s initial proposal was for a peace pact as a bilateral agreement between the United States and France to outlaw war between them. Particularly hard hit by the First World War, France faced continuing insecurity from Germany and sought alliances to shore up its defenses. Briand published an open letter in April of 1927 containing the proposal. Though the suggestion had the enthusiastic support of some members of the U.S. peace movement, President Calvin Coolidge and Secretary of State Frank B. Kellogg were less eager than Briand to enter into a bilateral arrangement. They worried that the agreement against war could be interpreted as a bilateral alliance and require the United States to intervene if France was ever threatened (which it was). To avoid this, Kellogg suggested that the two nations take the lead in inviting all nations to join them in outlawing war. 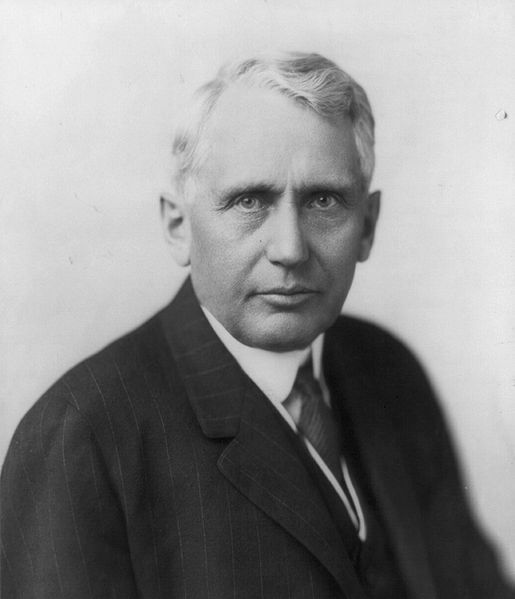 So, although Briand initiated the idea of a peace pact, it was Kellogg who broadened it to its global basis. The original signatories were France, the United States, the United Kingdom, Ireland, Canada, Australia, New Zealand, South Africa, India, Belgium, Poland, Czechoslovakia, Germany, Italy, and Japan. 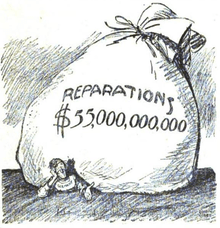 The U.S. Senate ratified the agreement by a vote of 85–1, though it did so only after making reservations to note that U.S. participation did not limit its right to self-defense or require it to act against signatories breaking the agreement – pretty much a “get out of jail free” card. In reality the pact had zero impact on the signatories. Makes one wonder why they bothered. 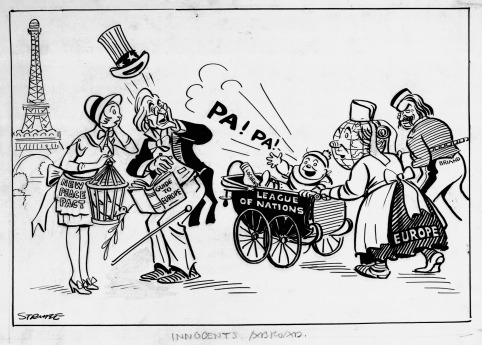 The following cartoon is perhaps a little obscure nowadays even with the handwritten legend “Innocents Abroad.” The intent is pretty clear, though. Europe saw the U.S. as being naïvely paternalistic in its efforts in this regard. Europe plays the dutiful child saying “yes, daddy” and then goes and does what it pleases. It was naïve to expect such a pact to achieve anything, but I believe it was sincere. The first major test of the pact came just a few years later in 1931, when the Mukden Incident led to the Japanese invasion of Manchuria. Though Japan had signed the pact, the combination of the worldwide depression and a limited desire to go to war to preserve China prevented the League of Nations or the United States from taking any action to enforce it. 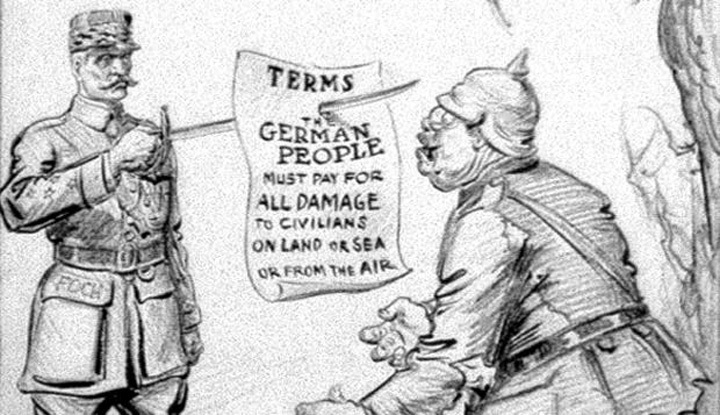 Further threats to the pact also came from fellow signatories Germany, Austria, and Italy. It soon became clear that there was no way to enforce the pact or sanction those who broke it; it also never fully defined what constituted “self-defense,” so there were many ways around its terms (including the avoidance of formal declarations of war). In the end, the Kellogg-Briand Pact did nothing to prevent World War II or any of the conflicts that followed. Its legacy remains as a statement of the idealism expressed by advocates for peace in the interwar period. Let us hope for a return to that idealism SOON. I thought that French fries would be a good choice for a recipe to celebrate a pact that came out of U.S./France negotiations. I’m going to go two ways with this. First I am going to give you my recipe (and notes) for perfect fries. Second, I am going to list a number of ways that French fries are served around the world (whatever they call them — let’s not fight!). Type of potato. Russet or Idaho potatoes are the classics in the U.S. They are in the category of mealy potatoes sometimes called floury potatoes. You need to use the one available where you live. King Edward used to be the classic in the U.K. Maris Peer and Maris Piper are newer varieties that work well. In other countries use a potato classified as a baking potato. Do not use waxy potatoes. Peeling. For a long time I never peeled potatoes at all, no matter what the dish. I would simply scrub them well on the outside and then cut them, skins on, for whatever I needed them for. Unpeeled French fries have a tasty, crispy skin side that has a slight earthiness to it. These go well with rustic dishes. Peeled French fries are a bit more refined, but also cleaner in taste. Cutting. Style of cutting depends on personal preferences plus the nature of the dish the fries are to be served with. The general issue has to do with the ratio of crisp outer layer to tender insides. Here I think it is cook’s choice plus some common sense. Shoestring fries are ultra-thin, so they are crispy with almost no insides. They are perhaps best as a snack or garnish. “Regular” fries, the size you get in fast food joints, are multi-purpose, but best served with other fried foods. Wedges and steak fries, are big and hearty with lots of floury center. They go well with robustly sauced dishes where you might otherwise use boiled or baked potatoes. Fat. What fat you choose depends to a large degree on how often you eat fried foods. I rarely do (maybe three or four times per year) so I have no problem making French fries with the most hideously artery clogging fats there are. If you are more of a glutton for fried foods, you might want to go with healthier choices. Although it is a relatively modern trend, duck fat is unrivalled, producing crispy delicious fries. Lard was the usual fat for British chippies when I used to eat in them in the 60’s, and is my fat of choice when I cannot get anything else. If I cook a goose at Christmas I will use the plenteous fat from the baking dish for deep frying. Otherwise, use oils that are low in saturated fats and trans-fat. Your best choices in this regard are safflower oil and canola oil. Draining. This is a big issue for me. Just about every recipe I ever read calls for draining cooked fries (and other deep fried foods) on paper towels. WRONG! If the food sits on paper towels the paper absorbs the fat but the fries then sit in the fat. Always drain fried food on a wire rack with a pan lined with paper towels underneath. If you like you can pat the fries with paper towels to remove excess, but that it is all. Peel the potatoes or not as you choose. Cut the potatoes to the shape and size of your choice. Put them in a colander or large sieve and rinse them under cold running water until the water runs clear. Put the potatoes in a bowl and cover them with cold water. Refrigerate for at least 2 hours, or up to 2 days. You can use the fryer of your choice. You MUST have a way to accurately measure the temperature of the fat. Drain the potatoes and dry them with a kitchen towel or paper towels. Fry the potatoes in batches. If you cook too many at a time the temperature of the fryer will drop too much. Fry each batch for around 8 minutes, until the potatoes are limp and begin to turn color, about 6 minutes. Drain on a wire rack (see notes). Cool to room temperature. Reheat the oil/fat to 350°F/175°C. Fry the blanched potatoes in batches again until golden. This should not take more than 2 minutes. Drain on a wire rack again, and serve. Choice of toppings or condiments. These are generalizations, more to give you the idea than hard and fast rules as to how people in a few different countries season their fries. Dip them in whatever you want, or douse them in anything tasty. 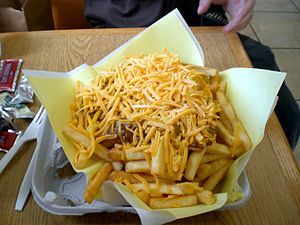 U.S.A. Tomato ketchup reigns supreme, of course, but don’t forget chili cheese fries – a healthy dose of chili (no beans) and grated cheese. U.K. Of course British chips are not really French fries at all. The ones I am familiar with from fish and chip shops tend to be fat and rather limp – delicious, though. The classic flavorings are malt vinegar and salt. If you let them put the salt on for you, you may well have a stroke. 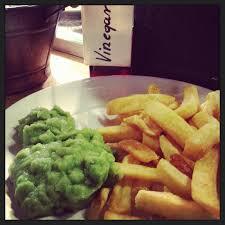 In the Midlands of England it is common to eat chips with mushy peas (which are what the name suggests). It’s also common to get chips with curry sauce at both Chinese and Indian takeaways, although the style of curry is quite different at each. Argentina. Tomato ketchup is common, but we also use salsa golf, which is a mix of ketchup and mayonnaise, sometimes with a touch of oregano. You can also use chimichurri, a blend of chopped parsley, minced garlic, olive oil, oregano, and white or red wine vinegar. Belgium and Holland. Mayonnaise is usual, but it is a richer, creamier mayonnaise than you get elsewhere. Belgians also serve meat stews directly over French fries (see post 21 July). 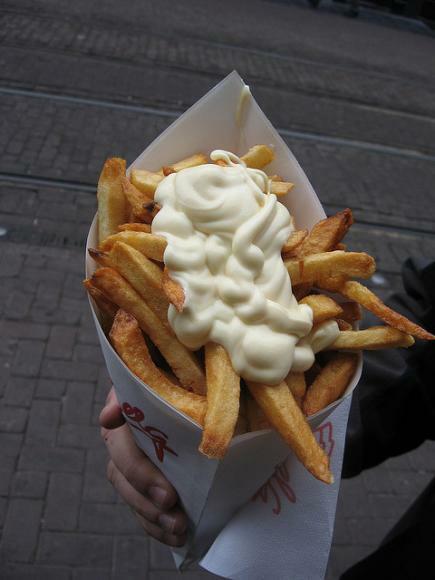 Belgians claim they invented the French fry, which may or may not be true. The historical evidence is not very clear. Whatever the case, Belgians enjoy deep fried potatoes with a variety of meals, including formal ones. Romania. In Romania, you can dip French fries in mujdei, a spicy sauce made with minced garlic cloves, salt, oil, vinegar, and a little bit of water. It’s rather liquid. Canada. 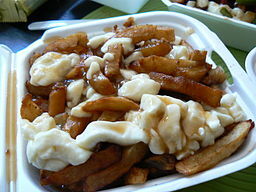 In Canada you can get poutine in quick food joints: fries smothered in beef gravy and topped with crumbled cheese curds. Philippines. Banana ketchup is a common condiment. It’s sweeter than tomato ketchup, and a little spicier. Throughout SE Asia sweeter, spicier sauces are common. Japan. There are spice mixes in Japan that are used as seasonings for plain rice that are used for fries also. A blend of nori flakes with the shichimi togarashi (red chili pepper, orange peel, sesame seeds, Japanese pepper, ginger and seaweed) is common. With fries there are no rules. Any sauce works. Mayonnaise can be juiced up a hundred ways: curry powder, fines herbes, garlic . . . Or go with bearnaise sauce, tartar sauce, tzatziki, feta cheese, barbecue sauce, chicken gravy, brown sauce, lemon juice, piccalilli, pickled cucumber, gherkins, pickled onions (a fav of mine), fresh cheese curds of any variety. Mix and match. Try not to be dull in this life.